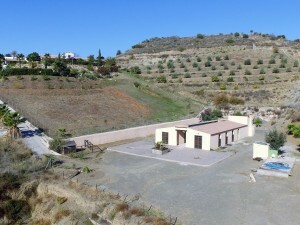 Spectacular villa for sale in Arboleas, in the province of Almeria. 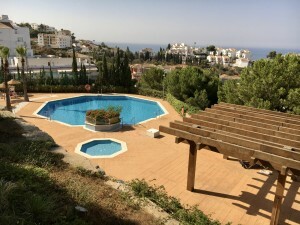 Wonderful 4 bedroom, 4 bathroom villa set on a 960-meter walled and gated plot with a separate garage, pool and games room. 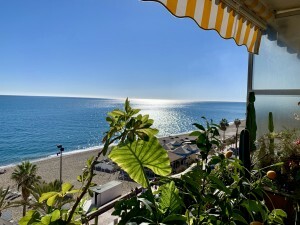 This fantastic property is within walking distance of a bar and is less than 10 minutes drive from the popular town of Arboleas which offers all the necessary services for daily life. Originally a 2 bedroom villa, it has been extended to its current size of 170m2, and could now be used as a large family home, or as two separate houses, ideal for renting. Each section of the property has its own entrance and consists of an equipped kitchen, a spacious living / dining room with fireplace and patio doors to the pool area. There are three large double bedrooms with built in wardrobes and en suite bathrooms, a double bedroom with fitted wardrobes and a separate family bathroom. The games room, is about 33 m2, currently has a full size pool table. The property was built to a high standard with high quality materials. Some rooms have air conditioning and others have ceiling fans. 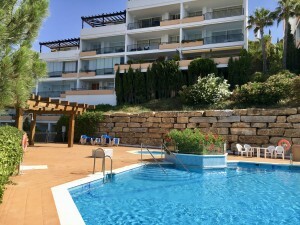 Outside, there is a wonderful, easily maintained garden, a mini golf and pool area, set in a large tiled patio with breathtaking views of the valley. There is also a BBQ area, and enough space for al fresco dining. To the front of the property is a gravel road leading to the garage and there is ample space to park several vehicles. Arboleas offers all the comforts for everyday life, including shops, supermarkets, bars / restaurants, medical center, pharmacy and schools. The coast is half an hour by car and the airports of Almeria and Murcia are just over an hour away. 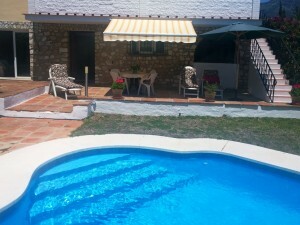 For more information or visits to this charming property, do not hesitate to contact us!